I’m a content designer on the Service Performance team (formerly Government Service Data/Performance Platform). We’re building a new product designed to give people standardised high-level metrics about all government services in one place. This will help government take a more data-driven approach to service transformation. I joined the team 8 months ago, and although I’ve now settled into the role, at first it was difficult to work out what I needed to do to make an impact. The product was in alpha, so there were a lot of basic things still to sort out to do with the build. These were things that didn’t necessarily involve ‘content’ as I understood it. I’d come from a traditional editorial background, where content was published regularly according to a predictable rhythm. I wasn’t prepared for the less structured environment of product development. Your product manager is the best person to go to for an overview of what the team is trying to achieve and what needs to be done to get there. Talk to them about the team’s goals and roadmap, and have a chat together about what you can do to start contributing. It can be tempting to start working on the content immediately – you think you’ve spotted lots of ways in which it could be improved, and you want to hit the ground running and win the respect of your team. However, this isn’t always the right thing to do. By not taking time to familiarise yourself with the team’s user research, you risk not fully understanding the context behind what you’re building – and therefore producing content that doesn’t meet user needs. So, set aside some time to go through the research notes before you get started on content. 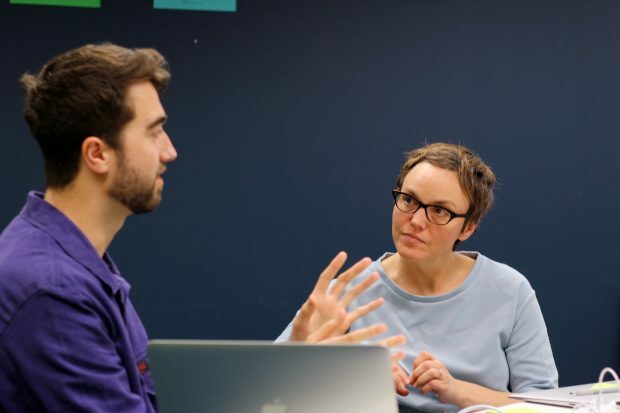 It’s also a good idea to get to know your user researcher and to sign up for future user research sessions, so you can observe users face-to-face. When I first joined my team, I found that they’d been struggling to formulate a coherent value proposition for Service Performance. This was a challenging task, for several reasons. It was sometimes difficult to get access to the main user group, for example. Also, government wasn’t necessarily used to taking a data-driven approach to service transformation, so the concept didn’t always resonate. I could see the team needed some help formulating the various ideas they’d had into a coherent whole. To help with this, I worked with my product manager to begin the process of getting a shared idea of the product’s purpose and benefits. We started off with an elevator pitch based on contributions from all team members. I then worked this up into a factsheet to be used for communicating progress with the product. This document has in turn been used for the basis of data collection emails and product presentations. The idea was to create scalable, reusable tools to support clear communication about the product. This is very much a work in progress, and is a team effort. As a team, we’re constantly refining and honing the way we talk about the product as we learn more from our users. Helping the team to articulate this is a big part of my role. As a content designer, you’ve got a crucial bit of distance from the build which allows you space to think about the team’s long-term goals. Don’t be afraid to speak up and share your insights on these with your product manager and the rest of the team. It can be very motivating to get involved in this side of the work and to feel like you’ve made a difference to your team’s long-term success. Prototyping is probably the most useful skill you can develop as a content designer. It’s one of the core competencies of the role, and makes a big difference in your ability to communicate your ideas and have them adopted. More broadly, it’s also important to have some understanding of other forms of design, such as interaction and service design. These are key disciplines for digital teams working in government, and you’ll be working closely with other designers who work with them – so it’s a good idea to take some time to understand what they do and to incorporate some of the principles into your own practice. 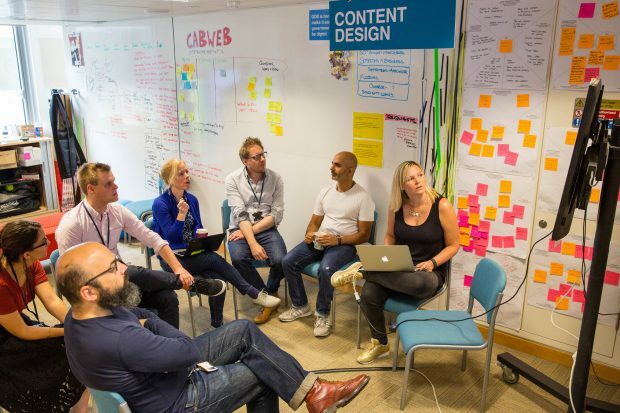 There are lots of opportunities to learn prototyping and other design skills at GDS; signing up to the service designers mailing list is a good place to start. If you have any tips for content designers on working effectively as part of a product or service team, share them in the comments below. You can also join the GOV.UK design community. You've captured all of the most important responsibilities - this is great.